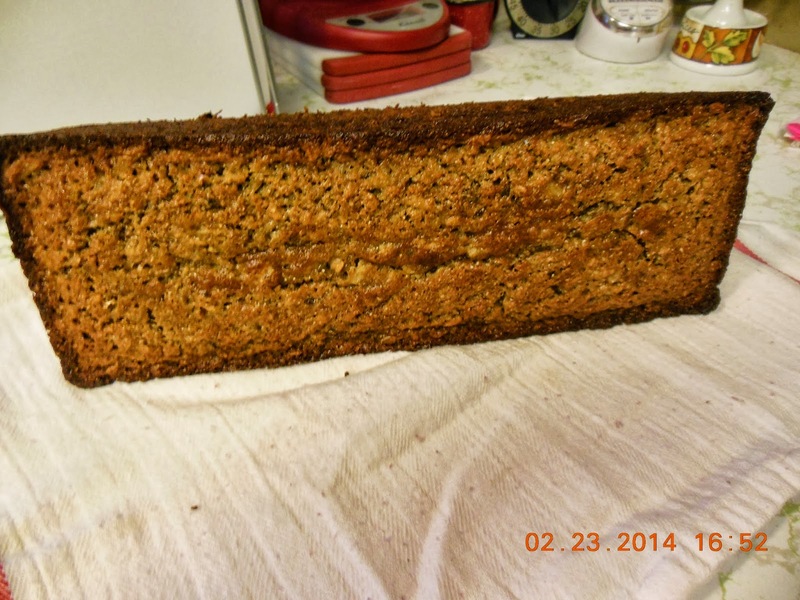 Three Fruit and Granola Bread, a sourdough recipe - Our Sunday Cafe, the Retirement Edition! Winter is ending here, thankfully. It seems each year I notice a consistent repeat of the fresh fruit in our basket. Bananas and apples and oranges. Since the oranges are better keepers at room temperature, it is not surprising that the last apple and banana are prime to bake with. It is also time to use the starter to keep it active. 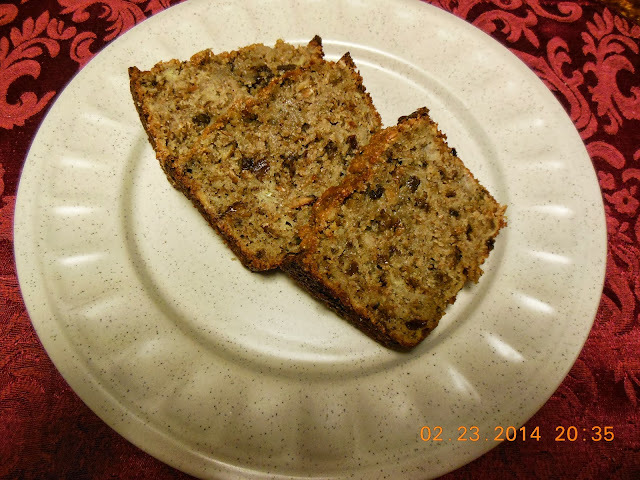 A quick look into the cookbook and I found a fruit bread that was a breeze to adapt to the fruit on hand. Finely chopped dried fruits make it easier to slice quick bread. Cream butter and sugar, add eggs, beat until creamy. Add starter, banana, apple, and raising. Mix well. 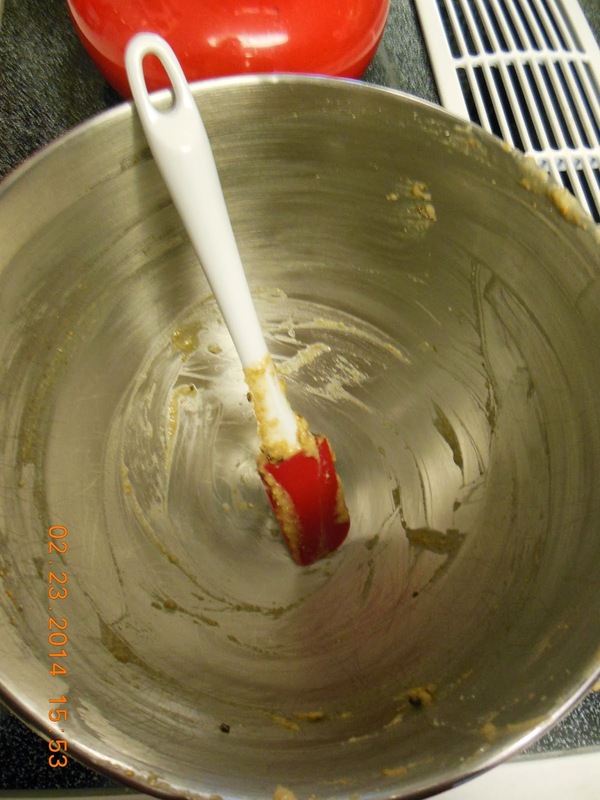 In a separate bowl stir salt and soda into flour, add to fruit mixture, mix until smooth. 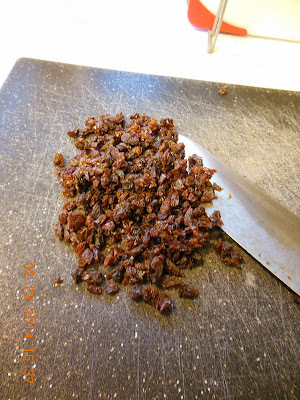 Stir in granola or nuts. Turn into a prepared loaf pan. Let "rise" for 20 minutes, preheat oven during this time. Bake 1 hour or until done in your oven. Cool and wrap tightly, store overnight. Slice and serve with butter or preserves. 9 comments bread quick and yeast, Recipe rating Oh Yes! This bread sounds so moist and delicious. We are getting ready for another wave of winter weather, maybe even more snow. Banana and apple in a loaf sounds good to me! I have not started on sourdough YET! I really need to get back to sourdough baking one of these days. absolutely wonderful! What a delicious and filling bread and I love that it is sourdough stil! This looks fabulous, Melynda, and I bet it tasted wonderful! Hope you got to enjoy some of the sunshine today--I ran out in the garden and looked at everything. This is a great recipe to try, it sounds delicious! And it would definitely warm the kitchen up! We're still dealing with winter, 1 degree below right now and they say up to 20" snow over the weekend. I need to buy some bananas. Hi Melynda. I like the idea of granola in bread and have never thought to do that. I also like that the apple is left unpeeled. Thank you for coming by and linking this week. How did I miss this one? lol...I really need to get my sourdough starter going again. I let it die when we moved last summer. Your recipes look so good! Thanks for sharing!